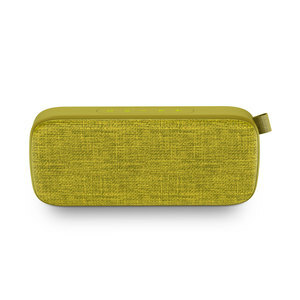 This portable speaker is the perfect balance between power and style. 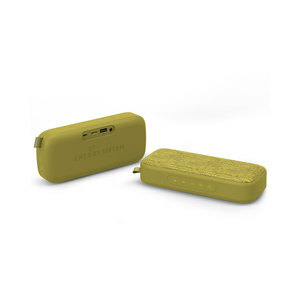 Its 6 W power, design and portable battery have been conceived to make the most of your speaker wherever you go. Easily pair your speaker with your Bluetooth devices such as your smartphone or tablet using Bluetooth 5.0. The perfect accessory for this speaker is a second unit of the very same speaker. 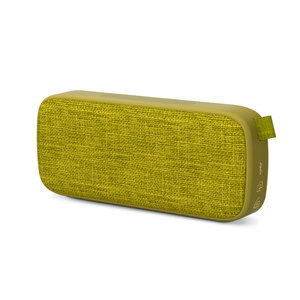 Use True Wireless Stereo technology to pair two Fabric Box and enjoy your music through both speakers at the same time. 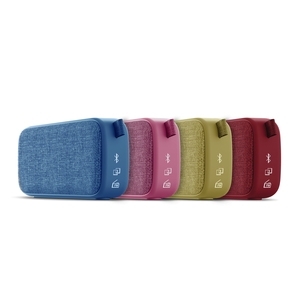 This speaker features a MP3 player for removable units such as USB sticks and microSD cards. Listen to your favourite radio stations thanks to the FM radio. The 3.5 mm audio-in makes it possible to plug any music player and listen to all your music. Use the microphone and the hands-free function to answer your incoming calls while Bluetooth mode is enabled. 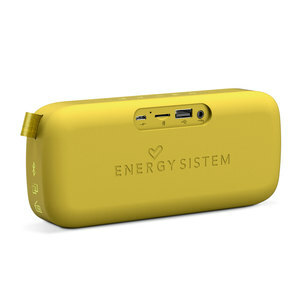 Energy Fabric Box 3+ Trend Kiwi.